SAN FRANCISCO – June 5, 2018 – Today, Qardio, the award-winning digital health company announced its partnership with Affirm Inc., a financial technology company providing payment alternatives to traditional credit. Now, Qardio customers will be able to purchase Qardio products and pay for them over time using Affirm’s flexible and transparent financing options. 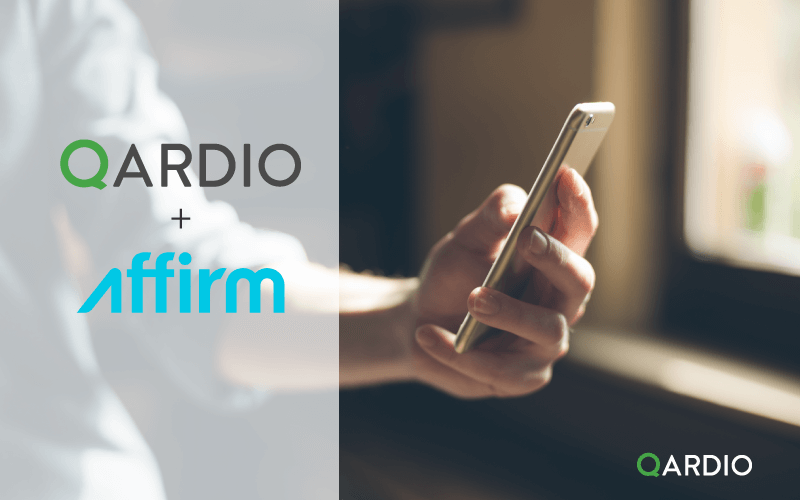 Qardio’s partnership with Affirm is the latest step in our mission to make heart health easier, smarter, and better for everyone, by allowing Qardio devices to be affordable for all. Customers that select Affirm as their payment option will be provided upon checkout a real-time approval decision. If approved they will be shown their loan amount, interest rate, and total interest. Customers can select monthly payment terms at competitive rates so they can find a payment plan that works best for them. Qualified customers will be able to make purchases with Affirm with 0% APR. Affirm is currently available as a payment option only in the USA.